Hearing protection is a must when firing guns. There are so many different models and types how do you choose the best? Should you double plug? Do ear muffs work better than ear plugs? Since it is essential to wear some sort of hearing protection learning the basics can help you make an educated decision. Before we go over the types of hearing protection you need to first understand the “Noise Reduction Rating” or NRR. This is the quickest way to determine the level of ear protection a unit offers. Simply put – the higher the number, the higher the level of protection. Most hearing protection devices offer an NRR ranging from 19dB to 31dB (dB=decibels). You can combine ear plugs and ear muffs to achieve maximum sound reduction. When you are double plugged, the combination will provide approximately 5 decibels more than the higher of the two rated products. As you will see the NRR rating varies from product to product. Now that you understand decibel rating let’s take a look at the different types of protection. Everyone has seen disposable foam ear plugs. They come in different sizes and colors. You roll them into a small cylinder shape and place them in the canal of your ear. They protect your ears by expanding in the canal. These are cheap, easy to find and offer good protection. I always have a pair of Howard Leight Corded Foam Plugs in my range bag. For about a buck you get 33 dB of protection from super lightweight plugs. I know that if I leave my other types of protection at home, my hearing will be safe at the range. Custom molded earplugs are an available option. Molded from silicone and customized to fit your ear with comfort in mind, these plugs offer maximum attenuation and often last long periods of time with little or no care. When made correctly, custom molded earplugs provide a reliable “tissue=to-tissue” fit duplicating every crevice and contour of the ear. This allows the user to wear this type of earplugs for extended periods of time without discomfort, irritation or constant removal from the ear for reinserting. I found my custom molded plugs do not interfere with any of my shooting sports whether it is handguns, rifles or shotguns. They are small and fit in your pocket. Make sure you check the fit of your molded earplugs. Over time the material can shrink or deteriorate resulting in a poor fit and less protection. Another plus is that custom molded earplugs are often waterproof and come with a small storage bag. I like that my plugs sit securely within the ear with no protruding bits. This is important when I double plug for maximum protection. The average NRR rating for these is 26 dB. If you wear glasses molded ear plugs may be a better option. With some types of earmuffs the glasses can cause the inner cushion to gap and the level of protection may not be as high. 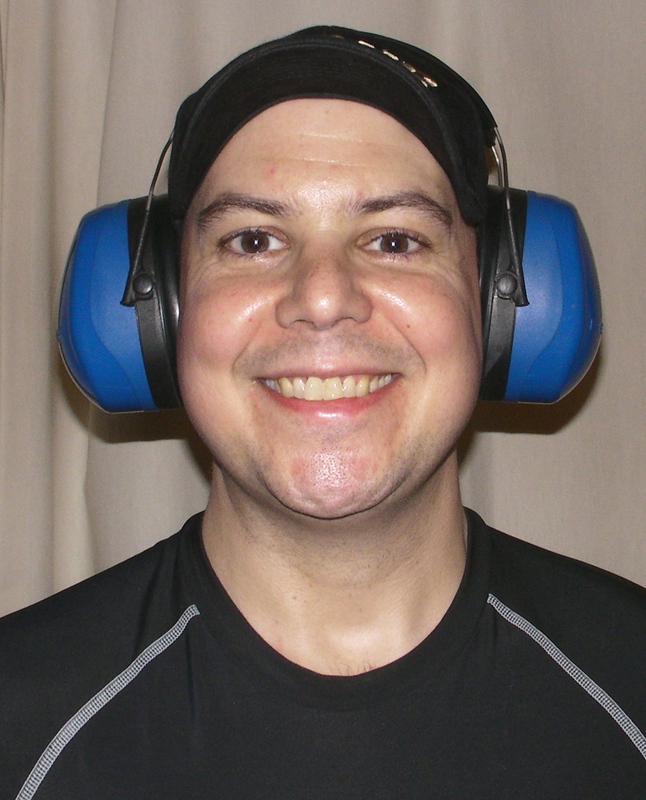 At the range you will notice one of the more popular options is earmuffs. These are hard outer shells and soft inner cushions. They decrease noise levels by covering the entire ear. Often these are large and may interfere with the stock section as it is firmly placed near the shooters cheek. 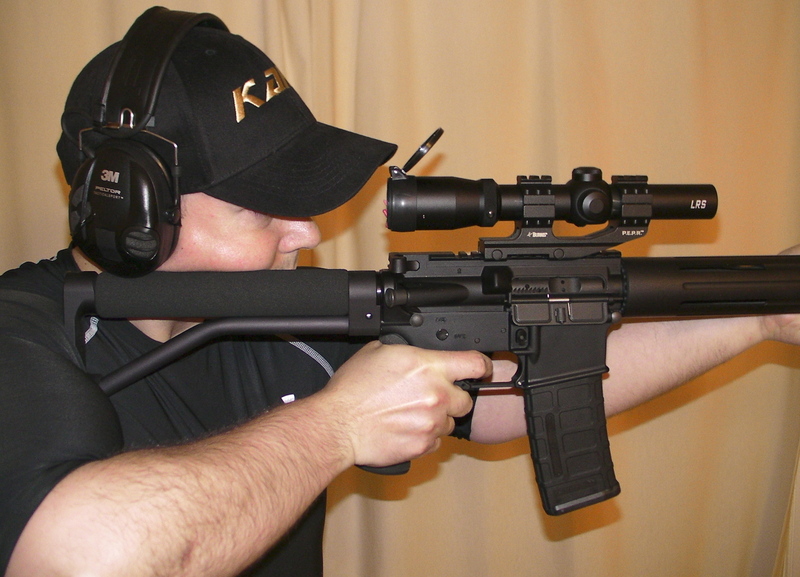 The stock of the firearm can lift the earmuffs slightly from the cheek, exposing the ear canal to sound, thereby lessening the sound protection. When choosing this style of hearing protection, you should look for tapered earmuffs that will allow the stock to fit firmly against the cheek. I only use this type of protection when I am doing yard work. 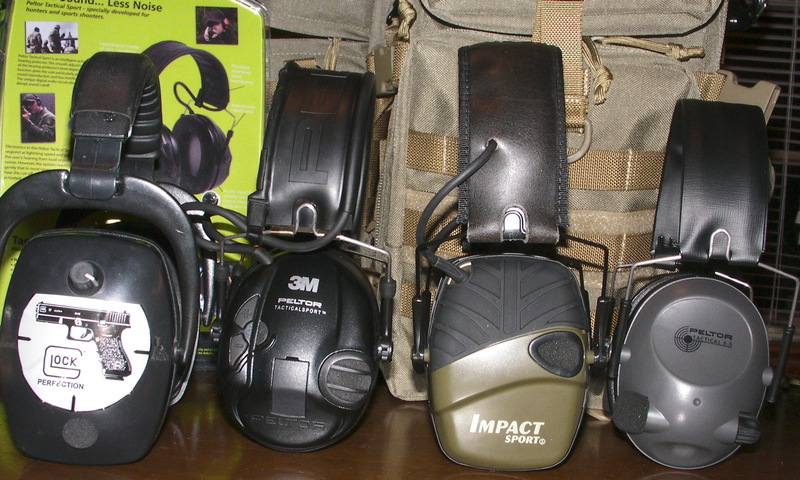 I have simply found the other styles protect my hearing and allow for more interaction at the range and less interference with my rifles when I am working on sub-MOA accuracy. These earmuffs won’t break your budget and offer an average NRR of 30 dB to 34 dB. “Smart” earmuffs allow low-level sounds through, like conversation but then automatically shut off sound when it goes above a certain decibel. These earmuffs can be costly and are battery-powered. Some top of the line electronic ears can cost several hundreds of dollars. For hunters some of these earmuffs even offer better than normal hearing. How? A small microphone in each muff picks up the external sounds. Loud sounds are blocked. I prefer electronic ears because they are effective, durable and reliable. For years I have used Howard Leight Impact Sport Earmuffs which do an excellent job of amplifying sound. The built-in stereo microphones are adjusted for volume by a single low profile on/off volume wheel. Forget to turn off your ears? No worries here as they are equipped with an automatic shut off after four hours. The earmuffs work on just 2 AAA batteries and the package claims up to 350 hours of battery life. I found they worked a decent amount of time, but not quiet the 350 hours as stated. When my first set of Howard Leight Impact Sport Earmuffs broke, I contacted customer service. A short time later my new set of electronic earmuffs were on the way to me at no charge. Superior customer service is a nice bonus. I do need to note that the Impact Sports model tend to not be as comfortable after a few hours as other brands. I would recommend the manufacturer improve on the foam ear pads. In addition I found this model to have occasional audio clamping causing some undesired muffling. The Howard Leight Impact Sport Earmuffs have a Noise Reduction Rating (NRR) of 22 dB. I must admit that I have a new favorite – Peltor’s Tactical Sport. 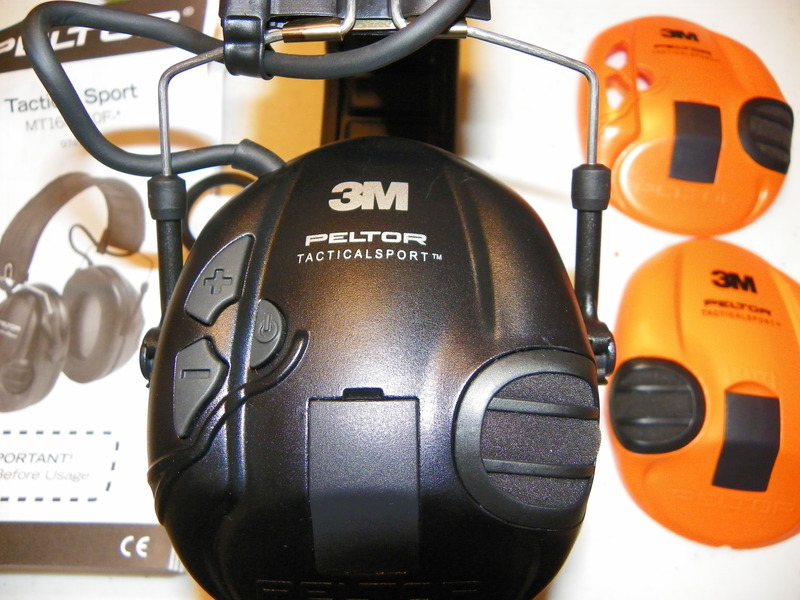 The latest electronic headset from Peltor is great. The clarity of sound is stunning. In addition to the Howard Leight earmuffs I also have a set of Pro-Ears. I believe Peltor’s ASIC chip technology gives the user cleaner, more refined audio. This unique digital audio circuit eliminates the abrupt sound cut-off that characterizes many active-volume hearing protectors on the market, which I find unpleasant and disruptive. You can clearly hear any range command or have a conversation with a fellow shooter with these Peltor TacticalSport earmuffs. 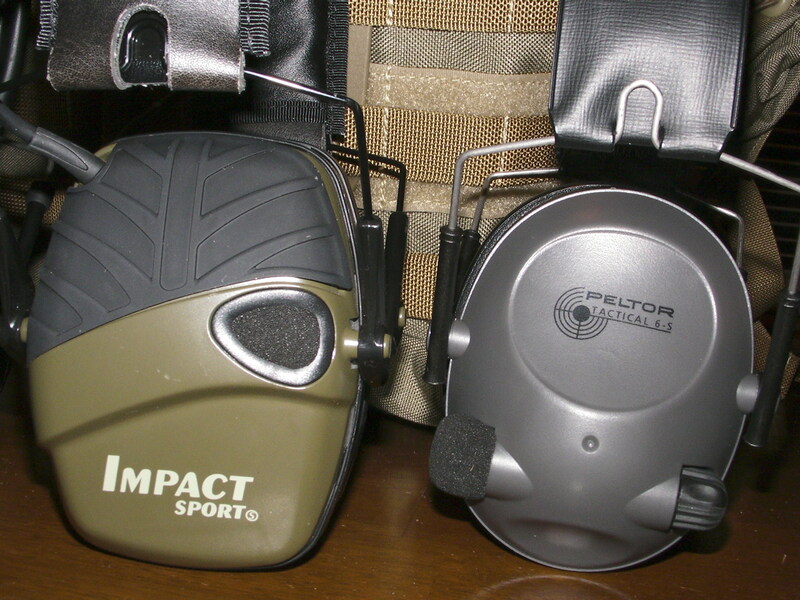 The Peltor Tactical Sport Earmuffs look sleek and feel sturdy. They are easy to adjust for your head and stay in place. Peltor designed them with cap and hat wearers in mind. The comfort level was above average with no pinched or sore ears and no headaches after a long day at the range. The Peltor Tactical Sport Earmuffs require just two AAA batteries and are good for 500 hours of use and include an auto-shutoff after just two hours to conserve battery life. I did find myself having to turn the Peltor’s back on several times at a match. Some people might consider this an inconvenience. An improvement by Peltor on this particular model is an external, easy to access battery compartment. For many of their other models changing the battery can be difficult especially the first time. Peltor listened and has corrected the problem on the Tactical Sport set. I would not hesitate to purchase these again and believe they are the best value for your money on the market today. Peltor’s quality is hard to beat. 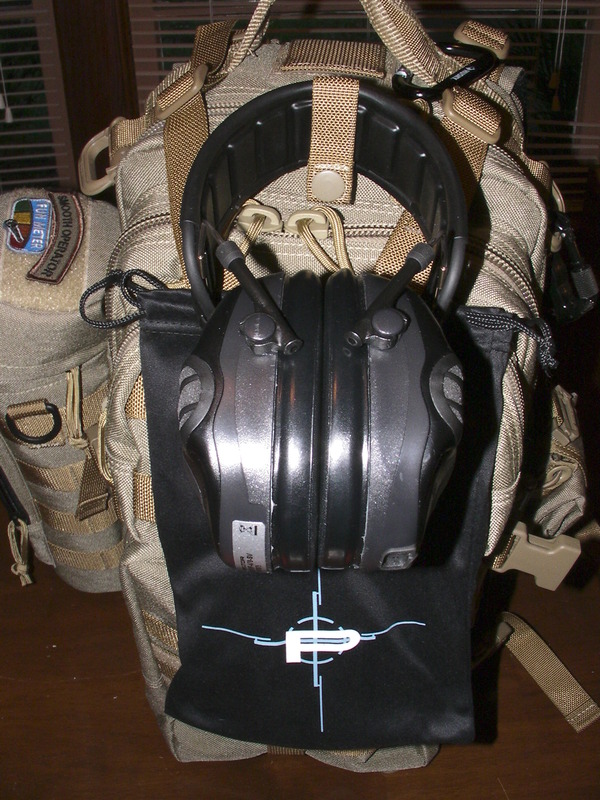 The NRR rating for the Peltor Tactical Sport Earmuffs is just 20 dB. As you can tell there are various types of hearing protectors. Each offers similar levels of protection and you will need to choose from their various advantages. 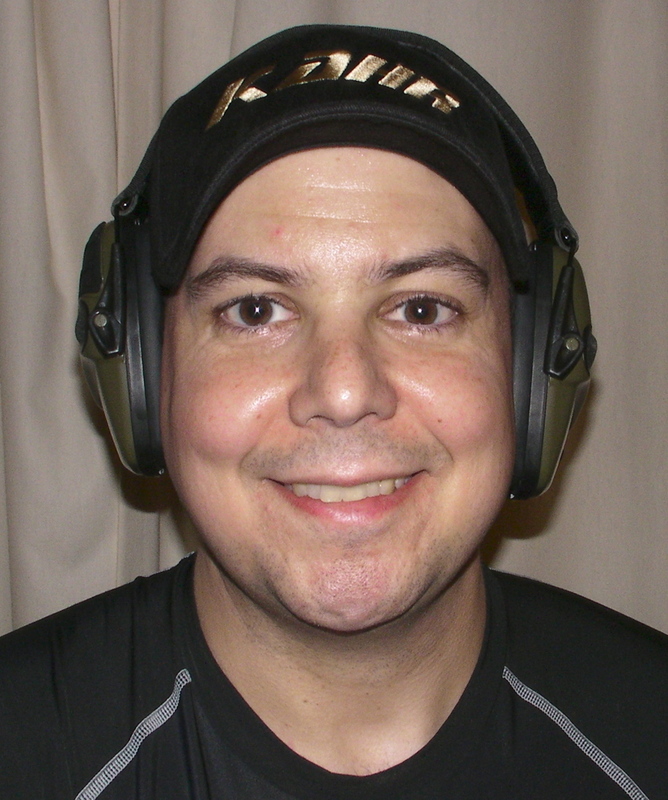 I personally like to wear electronic earmuffs at USPSA, IDPA and other shooting sports matches where it is important to hear range commands and other shooters speak. For my long-range shooting and hunting I prefer my custom molded earplugs as they do not interfere with the gun mounts. And I have been known in an indoor range or noisy environment to “double plug” and wear both earplugs and my earmuffs. Discover what combination works best for you and your shooting needs. Consider your budget and don’t forget to check for proper fit. Just make sure to always wear some sort of ear protection and eye protection when you shoot. Your hearing can never be repaired and will only get worse over time if left unprotected. You only have two ears so take care of them! Now let’s gear up and head to the range….